Sadly, shooting sprees are popular all over the world... but what about stabbing sprees? These disturbing true stories of insane knife-wielding maniacs take place anywhere, from D.C. sidewalks, to British shopping centers, to the streets of Tokyo. Senseless stabbing attacks seem to happen in broad daylight, with adults and children witnessing the massacres, if not being victims to them. Whether it's terrorism or psychosis (although perhaps the former is impossible without the latter), this list of crazy public knife attacks will shock you. Passer-bys are not immune to these murderous maniacs, as the knife wielders who perpetrated the crimes on this list will stab pedestrians at random. That's what's so scary about these chilling tales; there is no rhyme nor reason to the fatal stabbings, no pattern to speak of - and the sheer randomness of them is terrifying. Take the Canadian beheading on a Greyhound bus ride. Or the slashing at a Wal-Mart in Texas. How about the Hollywood Walk of Fame? And a stabbing spree at a Target? You ain't seen nothin' yet. On April 27, 2018, a man wielding a knife attacked children leaving Mizhi County No. 3 Middle School near Beijing. The students had been dismissed for the day and were leaving the classroom when the man attacked, randomly stabbing students leaving the building. Seven children died in the attack and dozens more were injured. The suspect was quickly apprehended by police. According to reports, he had been bullied as a child at the middle school and was seeking revenge. On September 17, 2016, a man dressed in a security uniform entered Crossroads Center mall in St. 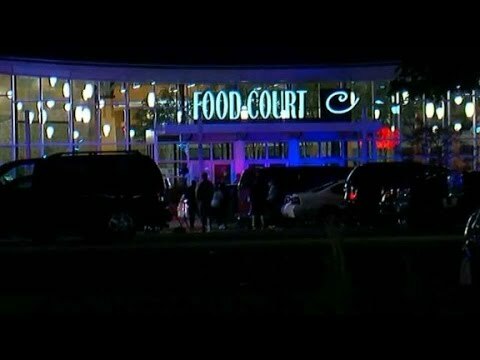 Cloud, MN around 8:00 pm, made some comments about Allah, asked at least one person whether s/he was Muslim, then attacked random shoppers with a knife, injuring nine, one of whom is in life threatening condition the week after the attack. The attacker was shot dead by an off duty police officer. Ashley Bane, an employee of the JC Penny in the mall, said of the attack, "There was a bunch of people running into the JCPenney mall entrance, and they were just screaming that someone was going around the mall stabbing people, and that there was blood everywhere." An ISIS-affiliated group took credit for the attack, though its doing so follows a pattern of such groups taking credit for random acts of violence committed by isolated individuals throughout the world. Though the FBI remains wary of possible terrorist connections, Blair Anderson, St. Cloud chief of police, said, "We haven't uncovered anything that would suggest other than a lone attacker..."
In May 2016, a man at a train station outside Munich, Germany began screaming "Allahu ackbar" and stabbing anyone in his path. One man was killed and three others wounded when the attacker, who hasn't been identified, began randomly knifing people. He stabbed two men on the platform, then ran across and stabbed two more men on bicycles before being subdued by police. Authorities claim the man had no connection to Islamic terror groups, and had been in and out of mental health treatment for years. On April 9 2014,16-year-old Franklin Regional Senior High School student Alex Hribal, went on a stabbing spree. Wielding two knives, he went through the hallways, wounding 21 people before he was stopped by an assistant principal. Hirbal was arraigned as an adult and faces four counts of attempted homicide; 21 counts of aggravated assault; and one count of possession of a weapon on school grounds.